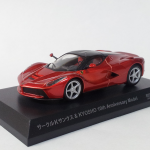 These three Karuwaza exclusives are a demonstration of what Kyosho is able to do at 1/64 scale. 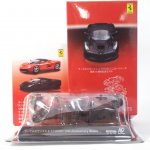 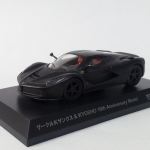 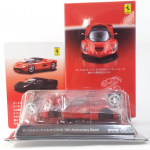 The LaFerrari set is a special edition celebrating 10 years of partnership between Circle K SunKus and Kyosho. 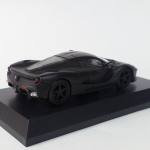 The set contains two LaFerrari in Metalic Red and Matte Black. 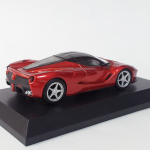 They are identical to the Ferrari 9 edition except for the red seats and painted mirrors. 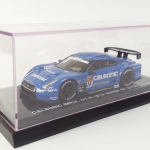 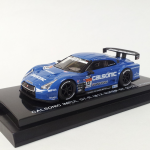 The Calsonic GT-R #12 2012 is limited to 1008 pieces. 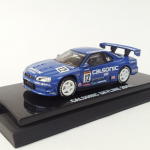 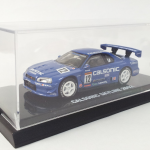 As a bonus, I added pictures of the Calsonic GT-R #12 2002 from the Beads series released in 2005. 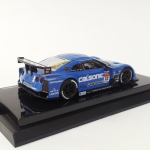 This entry was posted in 1/64, Beads, Gallery, Kyosho and tagged 1/64, Calsonic, GT-R, Karuwaza, Kyosho, LaFerrari. Bookmark the permalink.